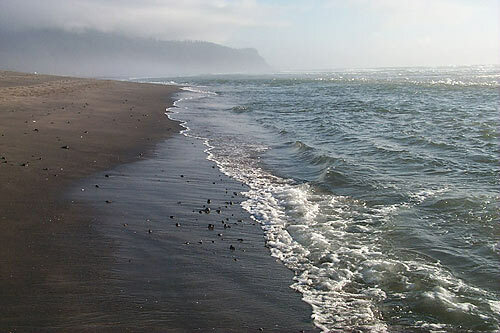 (Portland, Oregon) – The Oregon Department of Environmental Quality (DEQ), together with the National Weather Service (NWS), have issued one kind of air alert or another for all of western Oregon, including the southern and the northern Oregon coast. 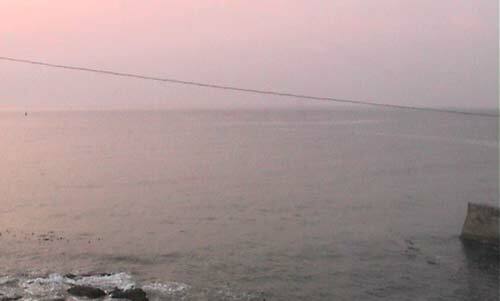 (Above: hazy conditions today at dusk in Cannon Beach, north Oregon coast - courtesy Tolovana Inn sky cam). The most serious is an air quality advisory due to smoke from California wildfires, in effect until midnight on Friday for Portland, the entire upper half of the Oregon coast, and for inland / I-5 corridor towns such as Eugene, Corvallis and Salem. “Smoke from local wood stoves and other sources have combined to create unhealthy air quality in many parts of the region,” DEQ said in a press release. 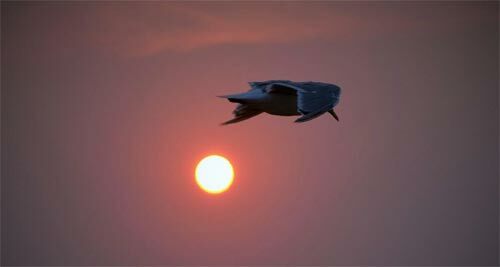 Stagnant air is also another large factor. 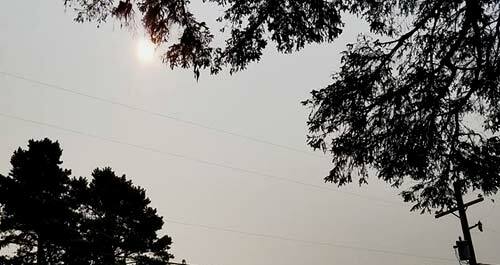 The NWS said it expects winds to start clearing smoke from the Willamette Valley on Friday evening, but areas south of Eugene will continue to have air quality issues through the weekend. https://oraqi.deq.state.or.us/home/map or by downloading the OregonAir app on smartphones. 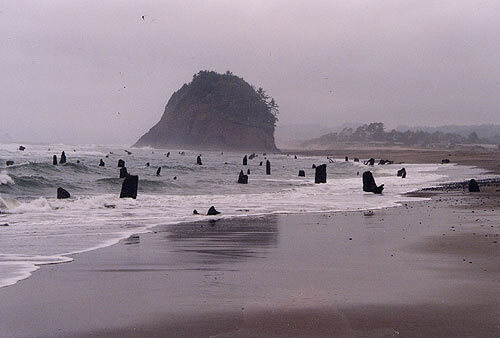 The Oregon coast will not be nearly as bad as inland areas. 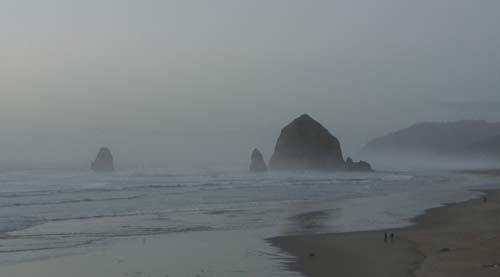 Beach towns such as Cannon Beach, Tillamook, Lincoln City and Yachats are reporting hazy skies, however. Some are indicating they can smell the smoke. There are no DEQ sensors on the coastline, however, so there is no official report for air quality index in those areas. Along the Oregon coast, the air advisory is in effect for Lane, Lincoln, Tillamook and Clatsop counties. Metro-area counties have some of the worst issues, along with Eugene. Multnomah, Washington and Lane counties also have restrictions on wood-burning stoves. Those who rely solely on wood stoves are exempt. The NWS and DEQ advise certain segments of the population should stay indoors while smoke levels are high, including those with heart or lung problems and young children. Meanwhile, there is a stagnant air alert through at least Saturday morning for the southern Oregon coast and much of southern Oregon. See Oregon Coast Weather.